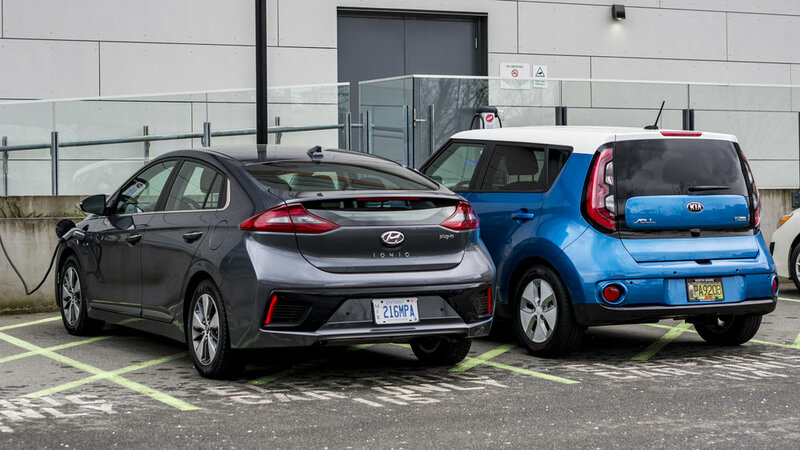 Hyundai's Ioniq is their answer to consumers needs for a fuel efficient car with the ever rising gas prices in British Columbia. The Hybrid is Canada's most fuel efficient car. This week we get to try the Plug-in Hybrid! Disclosure: Hyundai Canada & JS Auto provided me with the 2018 Hyundai Ioniq PHEV for a week to test drive, and photograph. All photos in this blog post was taken by me. I'll be honest I didn't really test the brakes in a situation where I needed to abruptly stop as I was often keeping a fair distance from the car in front of me to allow for the Ioniq to make full use of it's regenerative braking to recharge the battery. Steering, throttle response, and suspension feel good. The independent rear suspension is a plus! When the vehicle is going downhill the engine is turned off and the kinetic energy is captured by the brakes and converted into electrical energy to recharge the battery. When the vehicle is not in motion, both the engine and motor are automatically stopped. Triple layer dash insulation pad better blocks engine noise from the cabin. Often times I am unsure if the car is even on or not. Just the right amount of futuristic without trying too hard like other brands. Unlike the EV version the paddles on the steering wheel control the gears and changes the car to sport mode. Cabin is very pleasant to look and touch. Head room in the rear might be a limited if you're tall with the slopping roof design. 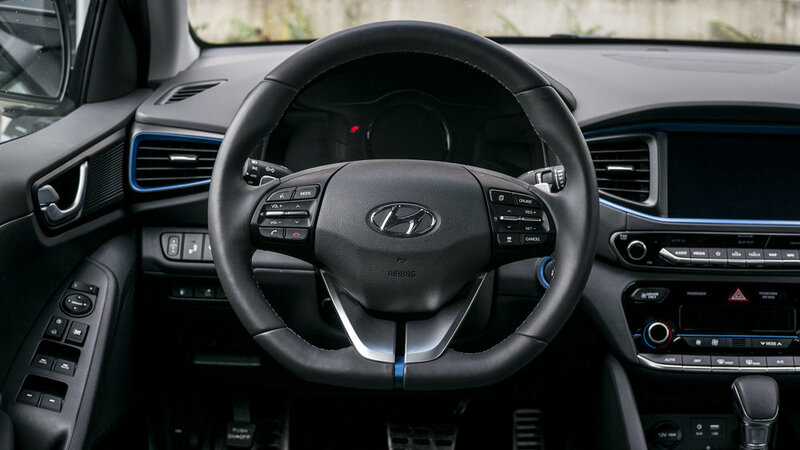 Hyundai's infotainment system is one of the easiest to use. Very intuitive! 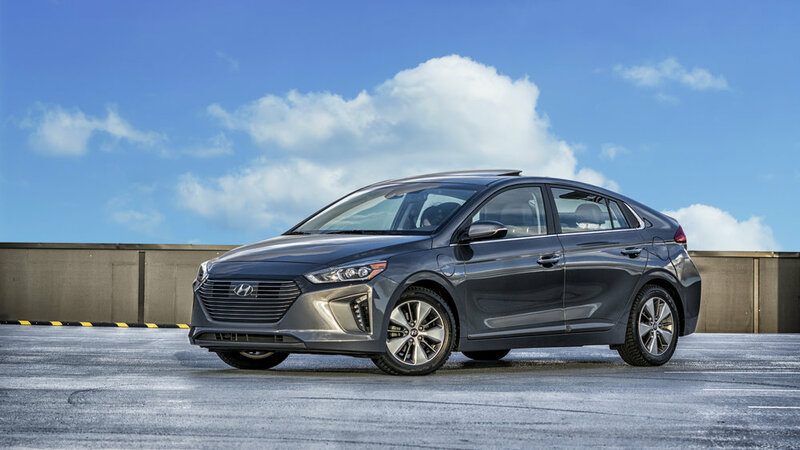 Hyundai’s Ioniq slays the long standing Prius which has dominated the market for years. It comes in three versions, hybrid, ev, and phev. In the PHEV, you can switch between pure electric mode which generates zero emissions or hybrid mode. In hybrid mode, the gasoline engine works in tandem with the electric motor to maximise fuel economy. I personally like how the car is futuristic but does not try so hard that it just looks strange. The Ioniq is incredibly practical, energy efficient, comfortable and fun to drive. 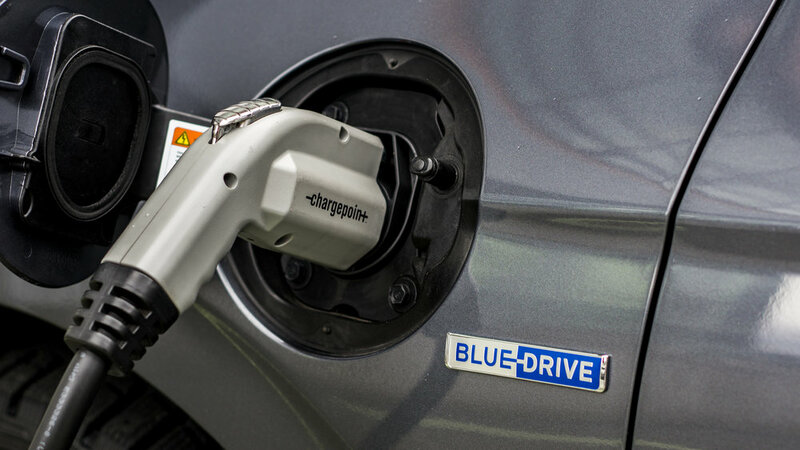 The PHEV version is for those who want a peace of mind they can go on longer commutes without the worry of running out of juice while still being able to go full electric for daily use to work or getting groceries.